Hotel Aryan Plaza features designer rooms with classic furnishings. 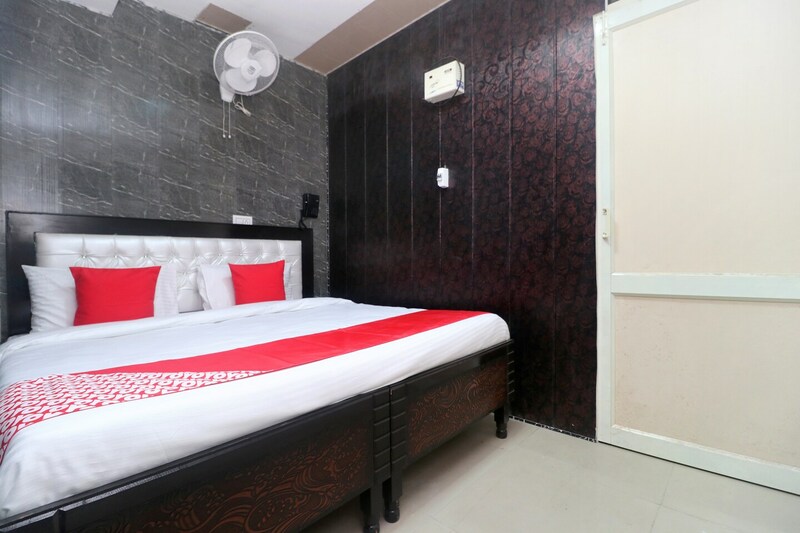 Hotel Aryan Plaza is situated near Ravidas Gurdwara, Village Dadu Majra, Near sector 38 west, Chandigarh. Patiala ki Rao Reserved Forest, Open Hand Monument, Rose Garden and Garden of Fragrance are some of the popular places around. The rooms are quite attractively designed with designer wallpapers and wooden flooring. The intercom is installed right beside the bed for the convenience of the guests. A number of amenities that the hotel offers include Free Wi-Fi, AC, power backup, TV, and CCTV Cameras. The hotel is quite close to a number of interesting restaurants like Subway, Domino's Pizza, Cafe Jade, Dosa Crew, and La Pino'z Pizza.